Welcome to Advanced TMS Center of Tomball. 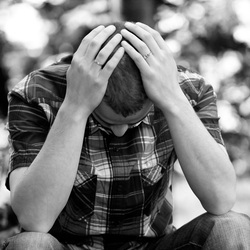 We provide patients in Houston, Texas and surrounding area of Harris County the latest in depression treatments. We are pleased to be able to offer Neurostar® TMS Therapy to our patients. Transcranial Magnetic Stimulation Therapy is one of the most technologically advanced depression treatments available. This non-invasive, outpatient therapy is FDA cleared and has helped thousands of depression patients who have not received adequate results from antidepressants. Have you sought treatment for your depression from antidepressants only to find less than satisfactory results? NeuroStar TMS Therapy is a new treatment option clinically proven to improve symptoms of depression in patients that did not respond to prior antidepressant treatment. Transcranial Magnetic Stimulation, TMS Therapy, uses short pulses of magnetic fields to stimulate nerve cells in the one of the areas of the brain thought to control mood.TMS Therapy is performed in a psychiatrist’s office under his or her supervision while you remain awake and alert. patients who’ve had an inadequate response to prior antidepressant medications.